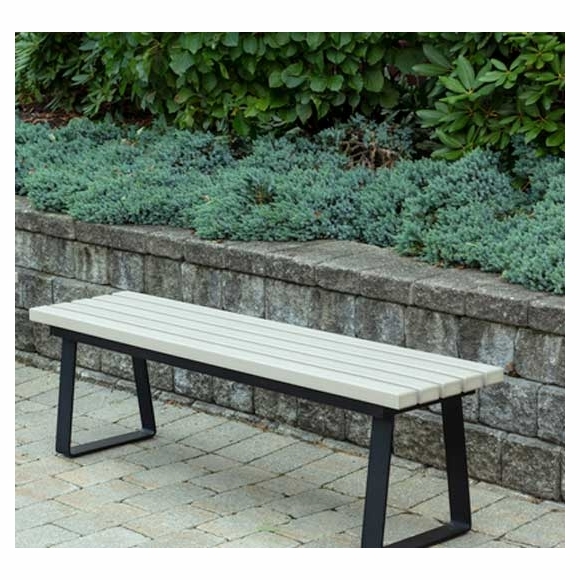 Mid Century Modern HIP Outdoor Bench - - combines retro design with low-maintenance construction for your outdoor living areas. 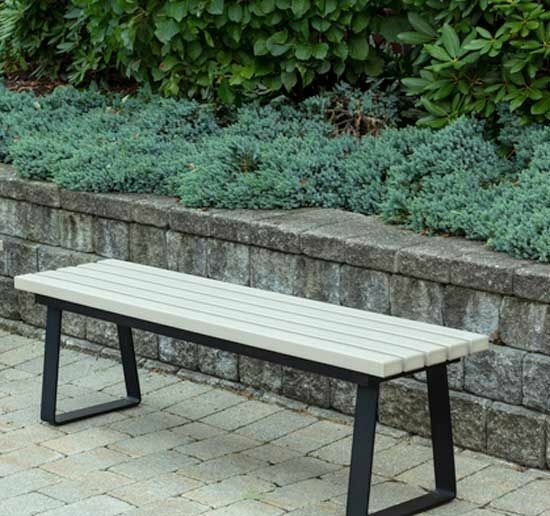 Build your own custom bench from 36 different color combinations and two leg styles. Combines eco-friendly, weather-proof Envirowood® slats with powder coated aluminum frames for a stylish industrial-casual look. Leg styles: anchor legs (large image) and spindles leg (small images). Chair frame colors: platinum, glossy white, and forge black. 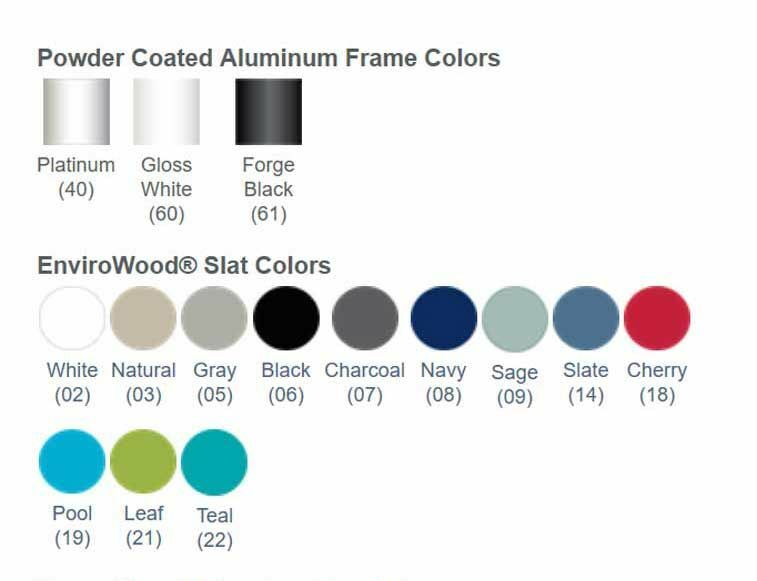 Chair slat colors: white, natural, gray, black, charcoal, navy, sage, slate, cherry, pool, leaf, and teal. EnviroWood construction with hidden fasteners. EnviroWood is made from an extremely high performance polymer that does not require sealing, painting or staining. It will not rot or splinter, and contains UV inhibitors that resist fading. EnviroWood is not affected by most corrosive substances and will not absorb moisture or promote bacterial growth. Maintenance: simply clean regularly with soap and water (avoid pressure washing). Avoid using harsh chemicals on EnviroWood furniture. NOTE: Stainless steel hardware will rust in high salinity environments if not properly maintained as follows: regular washing or rinsing with fresh water to avoid rusting. 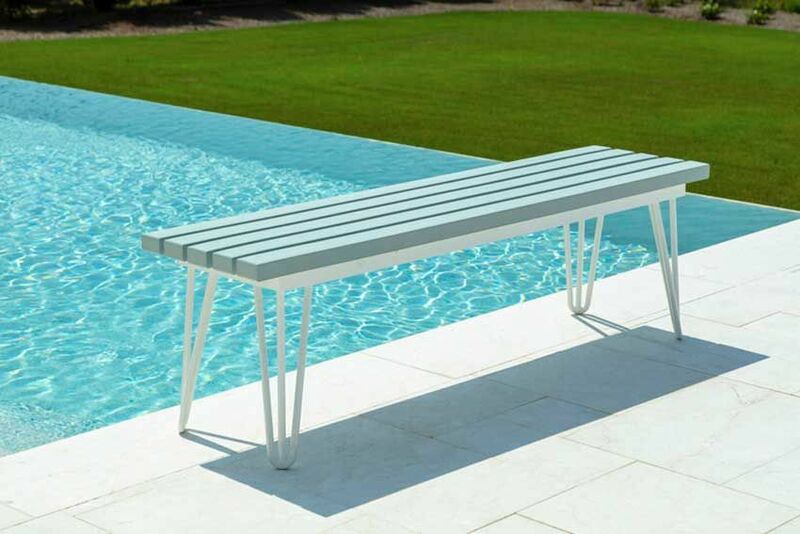 HIP Fusion Benches are suitable for residential porches, yards, balconies, and decks as well as commercial settings. Dimensions: 60" long x 15" deep x 17.75" high; weighs 15 pounds. 20-year residential and 5-year commercial mfg. warranty. 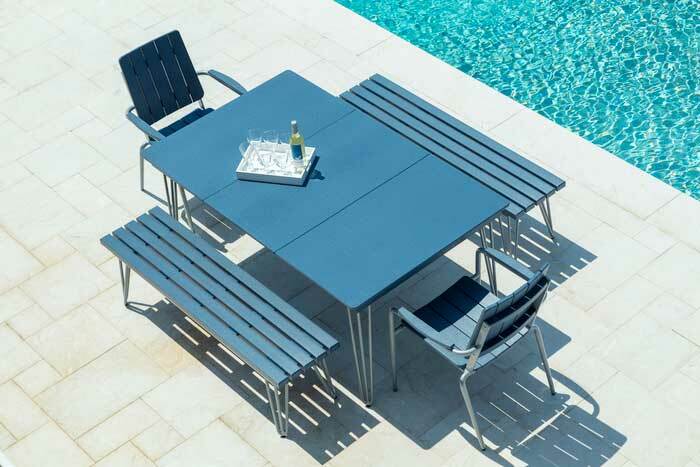 The HIP Fusion collection also includes stackable chairs, a square table, and a longer rectangular table. All pieces sold separately.